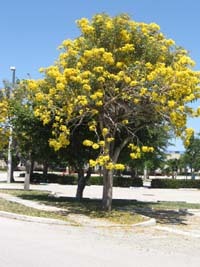 Tabebuia caraiba (syn. 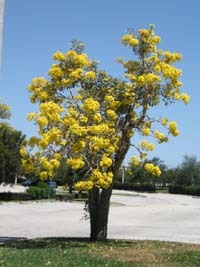 T. argentea) is one of the most popular flowering street trees in South Florida. Flowering profusely around March to let everyone know that spring has arrived. 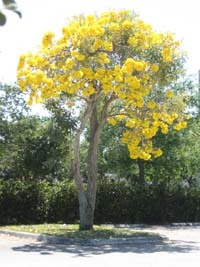 Even without the flowers this Tabebuia is a magnificent tree with its crooked trunk, cork bark, and silver colored leaves. 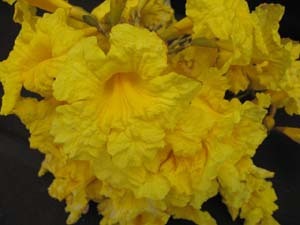 This Tabebuia is very easy to grow and bloom. Its only drawback is its soft wood, making it very susceptible to damage during strong winds. 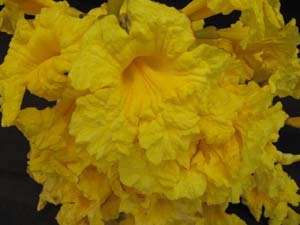 Tabebuia caraiba can also be grown in containers, especially small ones, which eventually can turn the tree into a large bonsai specimen.